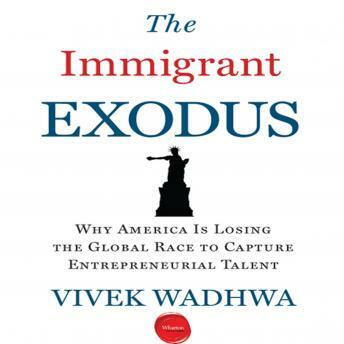 Now, Vivek Wadhwa, an immigrant tech entrepreneur turned academic with appointments at Duke, Stanford, Emory, and Singularity Universities, draws on his new Kauffman Foundation research to show that the United States is in the midst of an unprecedented halt in high-growth, immigrant-founded start-ups. He argues that increased competition from countries like China and India and US immigration policies are leaving some of the most educated and talented entrepreneurial immigrants with no choice but to take their innovation elsewhere. The consequences to our economy are dire; our multi-trillion dollar loss will be the gain of our global competitors.